Kingston Citizens – Page 47 – KingstonCitizens.org is a non-partisan, citizen-run organization focused on relevant and current issues about Kingston, N.Y. The natural gas leak that occurred last night on Broadway near City Hall posed no threat to residents, according to a Kingston Daily Freeman article. That’s good news. But it does bring up an important point about natural gas safety. Homeowners need to check their heating systems regularly to make sure it is operating properly. Leaks are dangerous, and qualified technicians need to make careful inspections. An excellent resource to find natural gas safety tips is the Central Hudson website, which urges inspections and maintenance as well as installing CO2 detectors. In this month’s issue of New York House magazine, there’s a story on the Village of Catskill — penned by yours truly — titled: Catskill Rebounds. In it, I interviewed Linda Overbaugh, who serves as executive director of the “Heart of the Catskill Association,” which is an arm of the local chamber of commerce. I had Linda walk me through the revitalization of Catskill. The steps were small, she said. And there were tough moments, but there were a dedicated few who made things happen. As many locals know, this sleepy hamlet on the Hudson was almost comatose. But Linda and other dedicated business leaders rolled up their sleeves and got to work bringing life back to Catskill. Of course it took time — all good things do. The results are stunning. 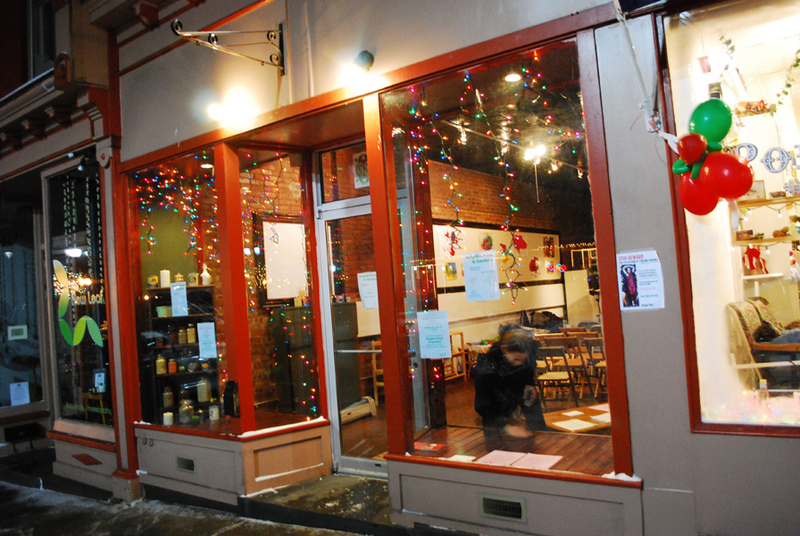 Once nearly deserted, Main Street in Catskill is thriving again. To get people back, Linda and others lobbied for cleaner, safer streets. They hired a consultant to bring grants in. Shoppers came back and businesses moved in. Still…Catskill is inspirational. And there’s much that Kingston can learn; the first being to band together talented and creative folks. At the City of Kingston Common Council meeting last night, the aldermen signed off on city vouchers — “general bills.” This included many services and administrative costs such as phone, electric and plumbing bills. I was a little stunned to see a bill paid to Wal-Mart Stores Inc. for $5,210.72. According to the city clerk’s office, the bill was for gifts that were purchased for homeless kids and victims of domestic violence — a noble cause indeed. But why did they have to buy the gifts at Wal-Mart, which is in the Town of Ulster and a company that sends its profits back to Bentonville, Ark.? In the spirit of “being local” and “buying local” the city should be a good neighbor and patronize local shops and businesses. For toys, there’s a great toy store on lower Broadway in the Rondout, next to the Kingston Foods & Garden site. There’s also Bop to Tottom in the uptown and the Parent Teacher Store as well. These are local businesses that need our support. Wal-Mart does not. In all fairness, there are other local businesses that sell goods and services to the city. The general bills from last night included money spent with Binnewater Ice, Herzog’s, Timely Signs, and Speigel Bros. Paper Co. But the city can do a better job of supporting more local businesses, and it should look more carefully at what it can source from within the city. 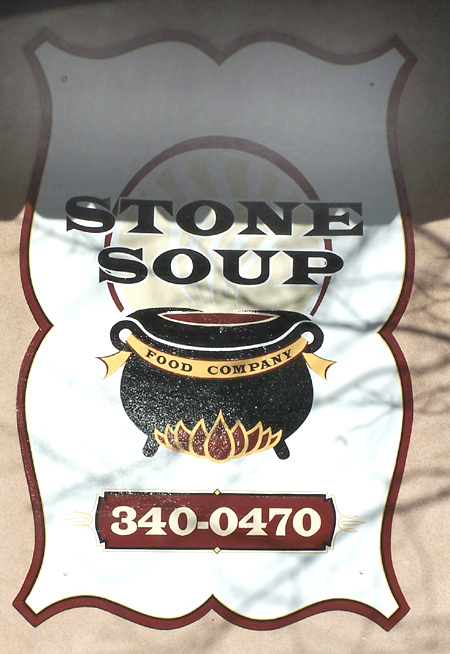 Midtown East has new eats: The Stone Soup Food Company. Opened for the past two weeks, the eatery is located at 470 Broadway across from the midtown neighborhood center. The menu features freshly made soups (of course), chili, bisque, salads, sandwiches, wraps and comfort foods such as mac and cheese, crab cakes and a real meaty lasagna. It’s nice to see a business open in this part of town, which serves the workers of city hall, the high school, telephone building and other businesses. Please show your support and stop buy for a sandwich. Google has a huge collection of images from Life magazine that includes some of the magazine’s most famous photos — of celebrities (Marilyn Monroe), presidents (JFK) and other notables. 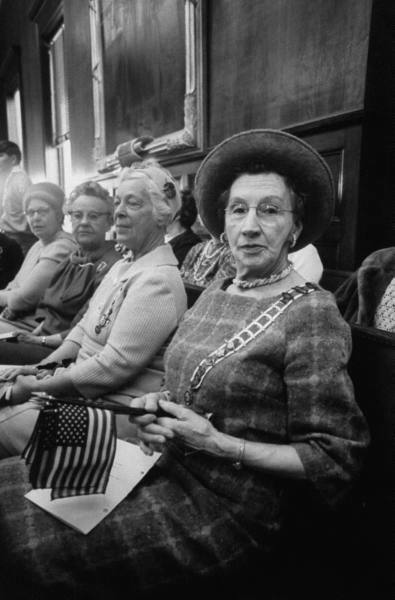 But for giggles, I typed in “Kingston” and found photos taken by Bill Eppridge of a naturalization ceremony in the county courthouse here in Kingston back in 1970. What a welcome for these new citizens! Does anyone know if the V.F.W. or the D.A.R. or the high school still participates? Members of the D.A.R. attend naturalization ceremony in Kingston. Thank you Rebecca and Jessica for the feedback on this issue of mowing and wildflowers. I can’t help but think that there are lots of good ideas out there that can be employed, which can save money and help the environment. Digging around last night, I found an initiative from the U.S. Forest Service — “Celebrating Wildflowers” — that encourages wildflower growth. It’s a great website with some interesting ideas. I know spring is far off, but thinking and dreaming about gardening and such is what you do in the winter, right? This week’s story in the Kingston Times about the City of Kingston’s budget offered a sober view of what department heads face in the coming year. On the Ward 9 website, Bill Berardi speculated that “city trash will be left” curbside on the weekends and the grass will be “unmowed — nice attraction to tourists,” he wrote. Bill’s got a point. Unmowed grass in a park is not a pretty sight. I wonder if the city could get a little bit creative here. Maybe certain, street-adjacent areas of our parks can be mowed while letting larger swaths grow out with some planted wildflower seeds? Imagine a variety of wildflowers growing in the parks, adding color and beauty. Doing so would not only save money on mowing, but would be better for the soil and would attract wildlife. Did you catch the news today that economic developers in the county are looking to send manufacturers from the area on a trade mission to China? An “Ulster County Business and Trade Mission to China” is being formed to send business representatives to China in May to tap that country as a direct export partner. The intentions of such a mission are good, but the timing is way off. As reported last week, the Institute for Supply Management said its manufacturing index set a 28-year low. The index tracks new orders, production, inventories, prices and exports, among other things. Simply put, this is the wrong time to look for opportunities in China. The bulk of goods found here are sourced from China, which faces — for the first time ever — overcapacity. This means they have too many factories and goods to meet current demands in China as well as globally. As U.S. retailers just experienced the worst holiday shopping season in four decades, stores remain full of unsold inventories. Consumer spending is expected to slowly bounce back, perhaps later this year, according to a recent interview I held with Alan Sellitti of consulting and accounting firm BDO Seidman. “It will be slow, and the promotional activity at retail will continue for some time,” he said. Perhaps a better use of time, energy and resources by economic developers would be finding regional markets that can benefit from Ulster County’s goods. Targeting smaller markets such as New York City, Boston and Chicago would require more creativity, but shipping goods to these places instead of overseas would result in better margins. Better yet, why not pool resources and open direct-to-consumer outlet stores of Ulster-only goods? Imagine being a tourist visiting a shop in NYC that sells Ulster County wine, beer, meats, gifts (such as Woodstock Chimes), pottery and art? The store could have books by local authors, and promotional material to attract people to the area. In fact, why not set up Ulster County kiosks that feature our products from NYC to Albany, along the thruway? This would replace the tired brochures that are at the rest stops now. In the meantime, it might be better to wait for market conditions to improve before sending a trade mission to China. As a former newspaper reporter who covered a variety of beats such as law enforcement, the courts, government, education and social issues, obtaining accurate information was an essential part of my job. Being a reporter opened many “doors” on my beat. But as a citizen, these doors tend to be shut – tightly. It doesn’t have to be this way, and a good government demands open doors. Municipalities should be as transparent as possible to its constituencies. This, though, is only half of what is needed. Elected officials need to garner opinions of their taxpayers before laws are set. This means going beyond posting agendas or encouraging residents to attend meetings. There should be a clear line of communication with citizens, which is one of the goals of KingstonCitizens.org. For example, before an agenda item is discussed in caucus, feedback from citizens – not special interest groups, developers, friends of lawmakers or other power brokers – should be sought. This “beta” testing with citizens will result in much-saved grief between taxpayers and its government. So let’s urge our lawmakers to chat with citizens on all issues of importance. Let’s work toward clarity, transparency and mutual trust. Only good things can result. My brother and his family came up to visit this weekend from Long Island. Over lunch, I asked them how the recession was affecting their lives, and their community. They said recent gas price declines have put more money in their pockets, and echoed the headlines we’ve been reading up here of retailers and other businesses closing their doors. I also asked them about the “shopping and buying local” trend that is sweeping many communities across the country. It seems that Long Island is insulated against this trend. They said except for the Eastern end of the island, local produce and goods are rare. That’s when I realized how lucky I am to live in Kingston and the Hudson Valley. This is one of the few places in the country where I can find local produce in a supermarket — at Adams Fairacre Farms — or can buy directly from the farmers themselves. How wonderful is that? I also realized that “buying local” is only one element of a larger, more important equation. The other important part is “being local.” This means being a part of the community you live in. I’m not just talking about belonging to a local church or a sports organization. These are critical to community building. But “being local” means connecting with your neighbors in a meaningful way. Connections can start small, such as inviting your neighbors over for a cup of coffee. I’m all for respecting one’s space and privacy — this is needed to live in a civilized society. But I somehow think we’ve all drifted apart and have locked ourselves in our homes, and in front of our TVs. Given the tough economic times now and ahead, we’re going to need each other more than ever. So, perhaps we can learn how to start “being local” and break down some of those barriers. Hey…I’ve got the tea kettle on the stove, and some Monkey Joe coffee ready for the making too. Stop on by… 38 Brewster Street. The Arts Society of Kingston (ASK) has a call for entries for its biennial sculpture show in the city. And this year, the theme is “Go Green & Keep the Hudson Clean.” According to its website, ASK is looking for entries that feature “natural, recycled or recyclable materials.” The deadline for entries is March 28. Regarding total tonnage, the waste heading to our landfills is down about 15 percent year to date, according to the Ulster County Resource Recovery Agency here in Kingston. Short term, that’s a good thing. Less trash in the wastestream means less trash filling our landfills. But if the recycling materials market does not recover, these items may end up heading for the landfill. But there are things consumers can do to reduce the total amount of trash they put curbside. Composting, for example, is a great way to lower your trash output. There are many types of composters that you can buy or build. In my household, we bought one three years ago and fill it every other day with compostable food stuff, clippings, and shredded newspaper. It has produced a wonderfully rich soil that we can add to plants or the veggie garden. How to Compost.org is a great resource if you want to learn more. Here's the store front on Lower Broadway in the Rondout. Did you see Jennifer McKinley’s recent post on the Kingston Food & Gardens site? You can join the group by following the buying club link on the left side of this page. Jennifer is opening up the buying club, located next to the toy store on lower Broadway, downtown, for the art walk this Saturday, January 3. If you haven’t been to the space, stop by. It’s a terrific gift to the city and residents. As you enter the store, on the left, there’s a huge mural with art work from children. If you stop by during the art walk on Saturday, you can see their work and may even catch the artists themselves at work. Welcome to KingstonCitizens.org. Here you will find news, Q&As with community leaders and stories about people and things of interest. There will be profiles of businesses and residents — people who are making Kingston, N.Y. a better place to live. You will also find analysis of the news, current trends, cultural happenings and much more. As a blog there will be links to relevant news items from local, regional and national media. And there will be links to community discussions as well. Over the next few months, you will see links to Kingston-related websites. There will be guest columnists, personal essays, and regular contributions by me, Rebecca Martin and others. Above all, the KingstonCitizens.org blog will offer readers insights to help you make better decisions as a resident of this historic and dynamic city.